We are learning a lot this season as we experience abnormally dry weather this fall. It’s normal to be dry in October, but going into October dry is not normal. Once daylight shortens and temperatures drop, these plants move into a cold acclimation period as they prepare for dormancy. The water demand is lower. With 80 degree temperatures and no rain through October, you feel like you gotta run irrigation to get plants through the fall. When should we cut it off? 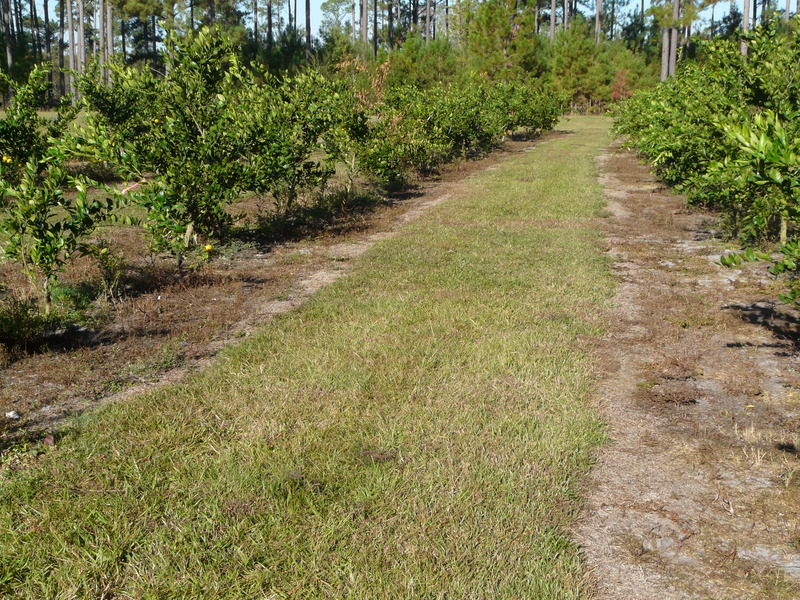 Last winter was not good for the southern peach crop, but good for citrus production. The satsumas had a great winter last year, with only a few nights getting into the mid 20s. The trees looked much better this season. These trees are between 3 and 4 years old now. They are producing satsumas but the taste is not ready. This week, we noticed lots of suckers growing from limbs. It being November, this is really the time when these trees need to be shutting down, sending more sugars to the roots to prepare for the winter. We believe our watering through October has kept these trees producing shoots. UGA Extension Pecan Specialist Dr. Lenny Wells reminds us not to run too much irrigation on young pecans trees as they need to go dormant. 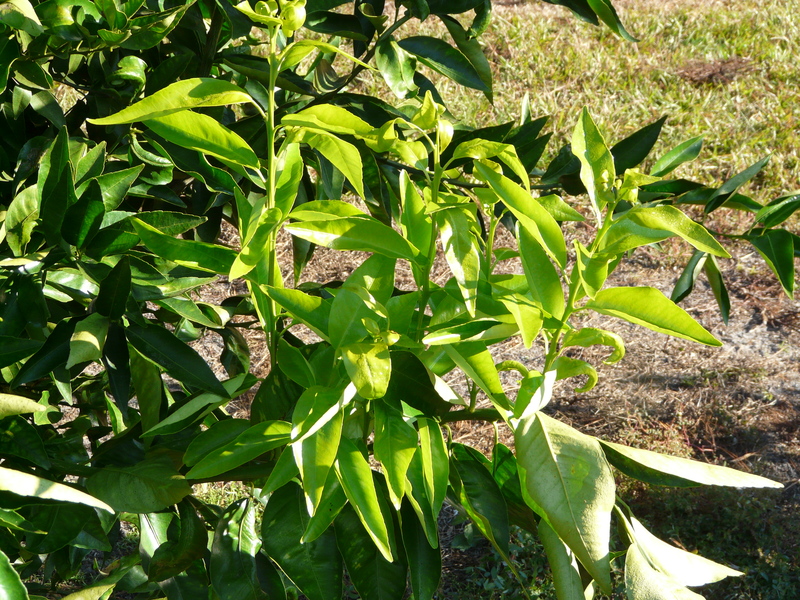 When we looked at the soil around these satsumas, we found plenty of moisture. This was inside the row between the trees. It’s actually safe to turn off irrigation when moisture is present between the trees 6 inches down. These roots still have plenty of moisture.